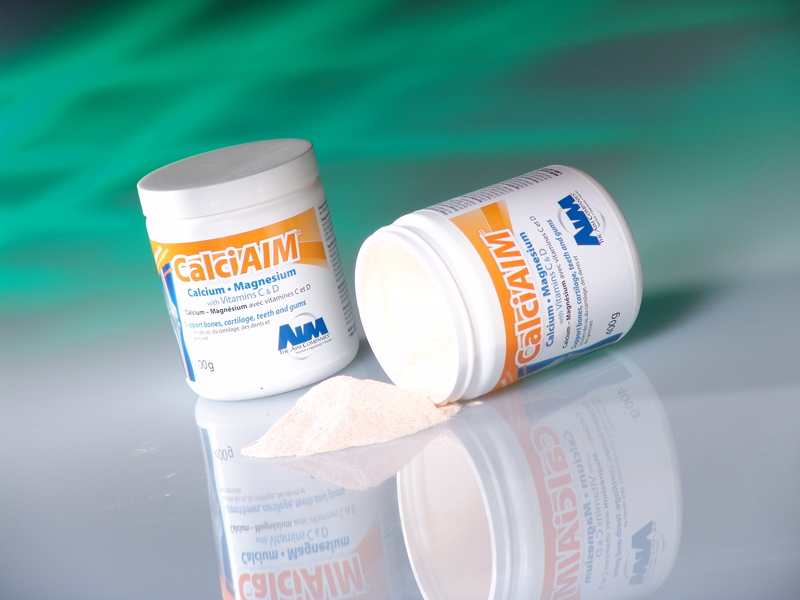 According to the USDA, fifty-seven percent of Americans don’t get enough dietary magnesium. Symptoms of magnesium deficiency range from minor things like fatigue, muscle weakness and cramps to serious problems like personality change and heart failure. Poor diet and alcohol abuse are major contributors to magnesium deficiency. Green leafy vegetables and nuts are rich sources of magnesium, but it can also be absorbed directly through the skin during a bath or a massage with our Mag-nificence lotion. The best and most relaxing way to supplement with magnesium is through back rubs and long hot baths.That’s great news because stress can cause your magnesium levels to dip. Check out the University of Maryland website for further information about these studies. 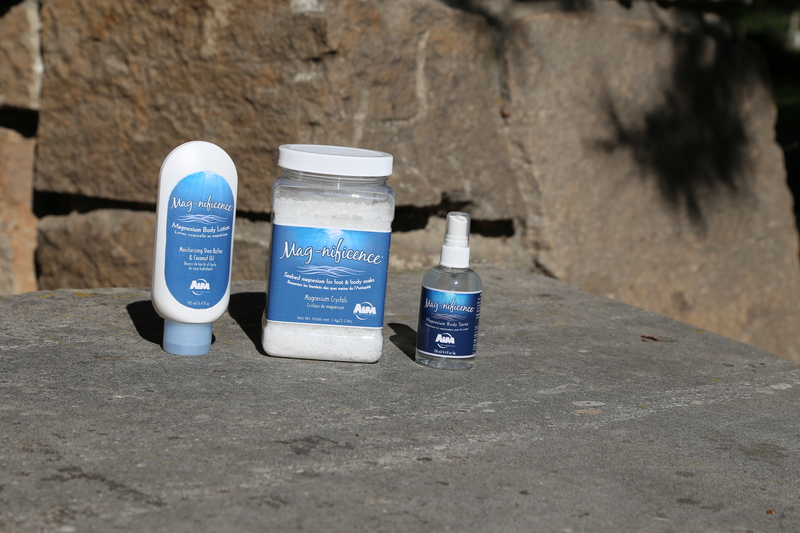 And check out AIM’s Mag-nificence for a soothing way to get your magnesium on. Over the last two weeks, vitamin D has been popping up in then news over and over again. Here are findings from six of the latest studies. The results of this study suggest that when immune cells don’t get enough or can’t process vitamin D correctly, a person can suffer from inflammation and other serious health woes. Findings also suggest that low levels of vitamin D may be linked to atherosclerosis and diabetes. When someone who is afflicted with prostate cancer is biopsied, inflammation occurs and they must wait for sixty days before the cancer can be removed. Scientists wanted to see if vitamin D could help during this waiting period. Over half of the men (55%) who took vitamin D supplements saw a reduction in their Gleason scores–the method of determining how aggressive a cancer is. The higher the number, the more aggressive the tumor. Some of the men who took vitamin D saw their tumors disappear. The men in the placebo group did not see change or their conditions worsened. Note: This information should not be taken as medical advice. Researchers at Oregon State University studied the blood and moods of 185 healthy young women in the Pacific Northwest. (It rains a lot there and is cloudy, so less sun). 61% of the participants had insufficient levels of vitamin D. A third of the otherwise healthy participants suffered from depression. The researchers believe that a lack of vitamin D may be the culprit but more research was needed. This story comes to us out of Loyola University. Older people are at greater risk for vitamin D deficiency due to less time outdoors and poorer ability to absorb the nutrient through the skin. Researchers reviewed studies and other evidence and now believe that there might be links between vitamin D deficiency and aged-related illnesses like cognitive decline, depression, osteoporosis, cardiovascular disease, high blood pressure, Type 2 diabetes and cancer. As the elderly population grows, the researchers suggest that a better understanding of vitamin D is needed to help treat the aging accordingly. Some researchers believe that the recommended intake of Vitamin D is way too low. Instead of 600 IU a day, we should be getting 7,000 IU a day. Also, not to be taken as medical advice. Always see your own individual physician before making any drastic dietary changes. Australian researchers examined pregnant mice. The mice who were born of vitamin-D-deficient mothers tended to have smaller heads, smaller ventricle volumes (heart chamber size) and altered gene expression in the brain. Researchers believe that these alterations could negatively impact the speech and mood centers of the brain. Digestive enzymes are these little proteins that act as biological catalysts that help the body convert food into stuff you can use, like energy or amino acids. They also facilitate the absorption of nutrients. Digestive enzymes are fragile little guys. Food, in its natural state, should contain enzymes. Because so much of today’s food is processed and/or cooked, we often don’t get the enzymes that we’re supposed to. That’s where PrepZymes comes in. One capsule provides your body with eight active enzymes to replace what’s been lost. Here is a quick and handy guide to the possible benefits of digestive enzymes. Proteolytic enzymes are commonly found in plants like papaya. These enzymes digest proteins and may help to reduce inflammation. Lipase breaks down fatty substances and plays an essential role in weight loss and weight maintenance. Studies have indicated that lipase may provide assistance with the following conditions. This enzyme helps the body break down and digest starch and may help with inflammation and bolstering the immune system. This enzyme breaks down lactose, a sugar found in dairy products. People who are lactose intolerant cannot break down lactose and lactase may help them do that. Cellulase converts cellulose into beta-glucose, helping the body maintain a stable energy supply. Maltase assists the body in the digestion of sugars and starches, converting them in into glucose, the body’s main energy source. Invertase allows the body to deconstruct table sugar/sucrose into its component parts: glucose and fructose (fruit sugar). Both are used for energy. The flavanols in cocoa have been linked with improved memory, improved motor responses and relating to visual stimuli. This may be in part due to cocoa’s ability to help the body produce nitric oxide. Somehow, kids always seem to have runny noses, the sniffles or a cough. Quercetin may be able to help with that. In test tubes, quercetin prevents immune cells from releasing histamines, chemicals that cause allergic reactions. On that basis, researchers think that quercetin may help reduce symptoms of allergies, including runny nose, watery eyes, hives, and swelling of the face and lips. However, there is no evidence yet that it works in humans. Some epidemiological studies have found a positive association between the consumption of foods containing kaempferol and a reduced risk of developing several disorders such as cancer and cardiovascular diseases. Numerous preclinical studies have shown that kaempferol and some glycosides of kaempferol have a wide range of pharmacological activities, including antioxidant, anti-inflammatory, antimicrobial, anticancer, cardioprotective, neuroprotective, antidiabetic, anti-osteoporotic, estrogenic/antiestrogenic, anxiolytic, analgesic and antiallergic activities. We live in a world where sugary beverage companies and fast food restaurant chains target kids with their marketing. Possibly not coincidentally, the childhood obesity rate sits at 18%. These are sad facts, but we also live in a world where you can find a product that uses healthy cocoa to help kids enjoy their vegetables for only ten calories. 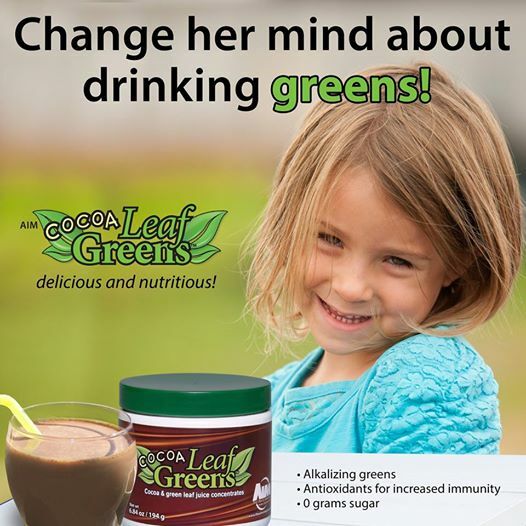 CoCoa LeafGreens: changing the face of nutrition! 1. The average person only gets 15 g of fiber a day. 2. The recommended amount of fiber is 20-35 g per day. 3. 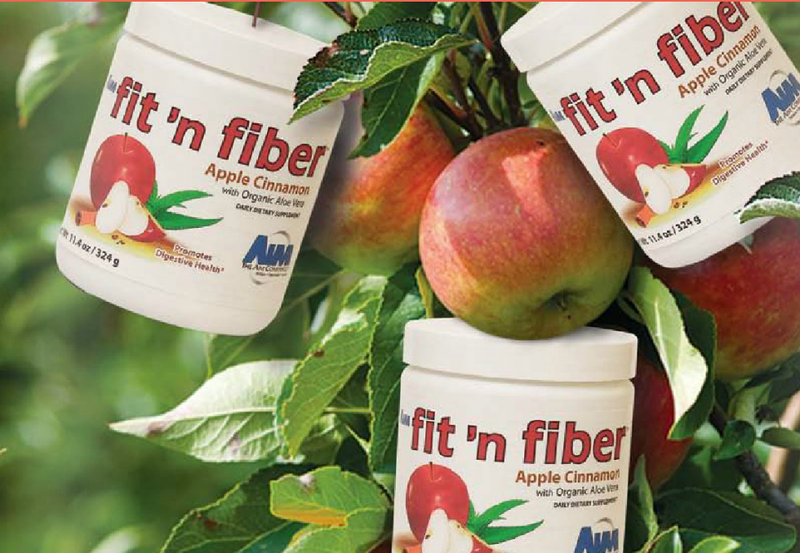 Fiber comes exclusively from plants. 4. There are two types of fiber. Soluble and insoluble fiber. Although both are necessary, soluble breaks down in water and insoluble does not. 5. Insoluble fiber can absorb water and keep you fuller, longer. 6. Insoluble fiber can help make waste easier to pass. 7. Studies have shown that fiber may prevent diverticulitis. 8. 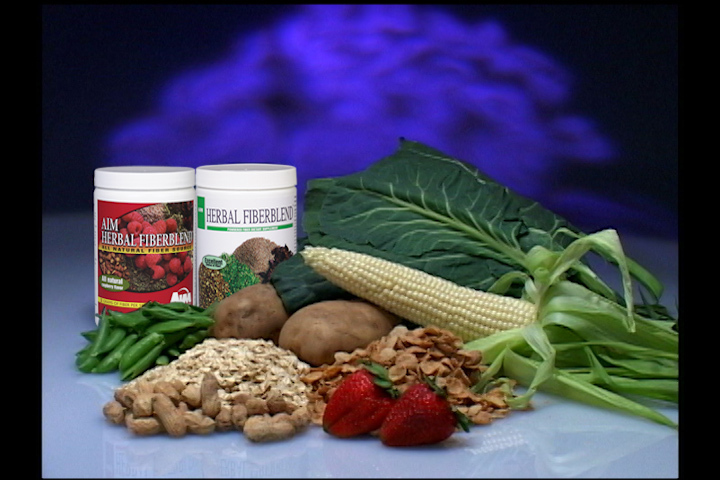 Some soluble fibers work as prebiotics. 9. Symptoms of low fiber intake include weight gain, constipation, blood sugar fluctuations and fatigue. 10. Research has shown that people with high-fiber diets increase their survival rates by 22%. 11. Fiber helps lower cholesterol levels. 12. Fiber may help your body remove the carcinogens in cooked meat! 13. Eating more fiber may reduce your risk of a first-time stroke by 7%. 14. A high-fiber diet may reduce breast cancer risk, according to a study. 15. Consuming a high-fiber diet may improve mineral absorption. Due to their hygroscopic nature–the tendency to absorb water readily–some of our products ( especially RediBeets, CalciAIM and Peak Endurance) may become clumpy when the lids are not fastened tight enough or if they become directly exposed to moisture. This problem is greatest in areas of the globe where there is a lot of humidity. The best and easiest way to circumvent this problem is by placing the products in the freezer. 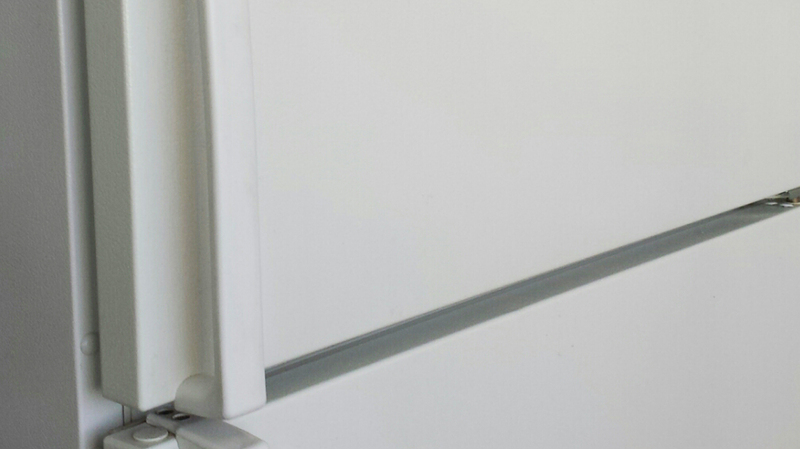 Modern freezers come equipped with a dehumidifier to keep out frost, making it an ideal place to store juice powders. Putting your whole-food juice powder concentrates freezer does not kill the enzymes, nor does it denature them. It only slows their rates of operation. The only negative side effect of freezerbound storage is wrinkly labels. Vitamin A kicks off the alphabet of vitaminery with a bang. 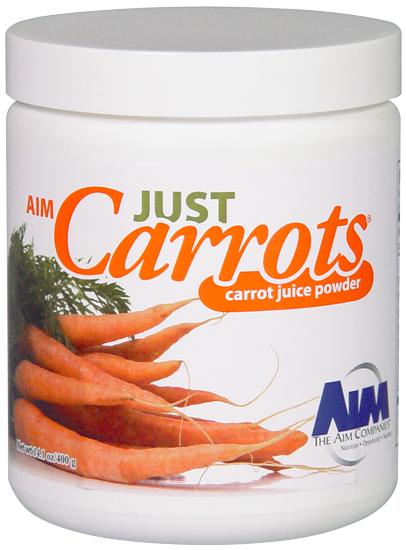 If you’re a carrot (203% of vitamin A per serving) fan, you know that vitamin A is the good-vision vitamin. That’s because it helps protect the cornea and has been linked to preventing, impairing or reducing several eye-related health concerns: dry eye, superior limbic keratoconjunctivitis, macular degeneration, retinitis pigmentosa and Stargardt’s disease, cataracts and recovery after laser eye surgery. Furthermore, vitamin A helps you see better in low lightand a deficiency of vitamin A can impair your peripheral vision. It also helps the development of the eyes in fetuses. Vitamin A has been linked to healthy skin. It’s currently under investigation for its ability to reduce wrinkles caused by the aging process. It’s also been used to treat acne, repair sun and other damage, maintain healthy skin and relieve psoriasis a bit. Vitamin A has bone-boosting properties which can strengthen the old chompers and because of its relationship with the mucous membranes, vitamin A is good for the gums, too. So the next time you see your dentist and you’ve got a healthy smile, it could be because you’re getting enough vitamin A in your diet. Vitamin A is vital for the continuation of the species as it helps the male and female reproductive systems as well as embryonic development, especially the development of a healthy nervous system. Vitamin A from plant food is completely safe. Fun fact, if you eat a polar bear liver, you will die. It’s because there is so much vitamin A in the liver of a polar bear that it will literally kill you. So if you’re eating polar bear on the tundra one day, skip the liver if you want to continue your harsh, tundrabound existence. Plants contain beta carotene. The body converts what it needs from that and throws the rest out. That’s why people aren’t dying from carrot overdoses.